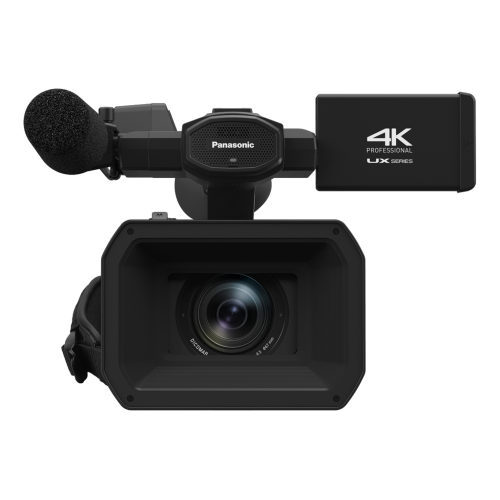 Panasonic AG-UX90ED 4K Professional Camcorder records UHD 4K at up to 30p, and FHD up to 60p in variable frame mode. The camera supports 59.94, which is analogous to NTSC, making the camera compatible with US broadcast standards. 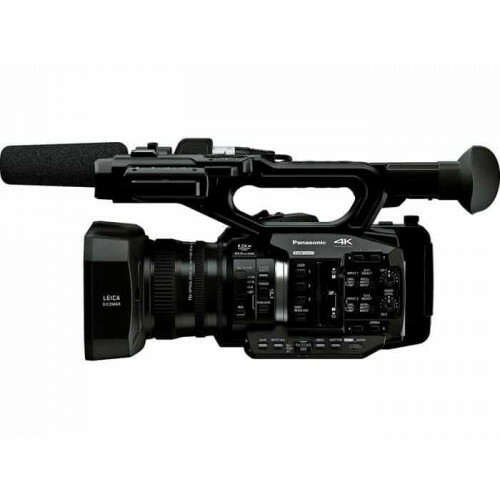 It features an integrated 15x optical zoom lens and a 1"-type sensor, and can record UHD 4K and Full HD in MOV and MP4. The camera is also capable of recording HD in the AVCHD format.The integrated Leica Dicomar 15x zoom lens was designed specifically for professional HD video production, and features a 24.5mm equivalent focal length on the wide end of the zoom, when recording FHD for a 24.5-367.5mm (35mm equivalent) zoom range and a 35.4 to 531mm (35mm equivalent) zoom range when shooting in UHD.The lens combines four lens groups and incorporates Optical Image Stabilization (OIS). When shooting in HD, it supports 5-axis hybrid image stabilization.The AG-UX90 is equipped with 2x, 5x, and 10x digital zoom. Using the 20x optical zoom and digital zoom together yields a 25x zoom factor.The AG-UX90 features a four-position (OFF, 1/4 ND, 1/16 ND, 1/64 ND) optical neutral density filter wheel.The AG-UX90 offers gamma settings for eight different scenarios, and manual control rings for iris, zoom, and focus. 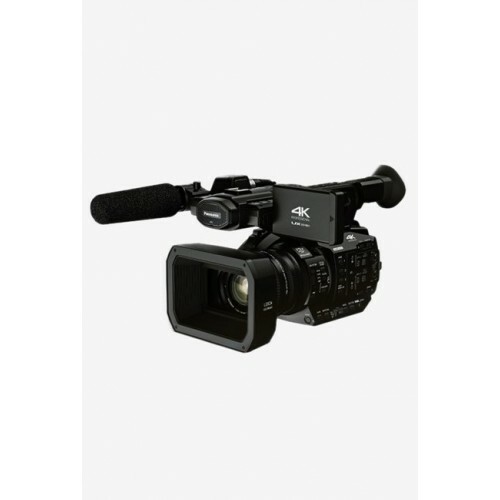 To monitor the status of all settings and perform critical focusing functions, the camcorder features both a high-quality 3.5" LCD touch screen, and a full-color LCoS 0.24" viewfinder with 1,560,000 dots of resolution. 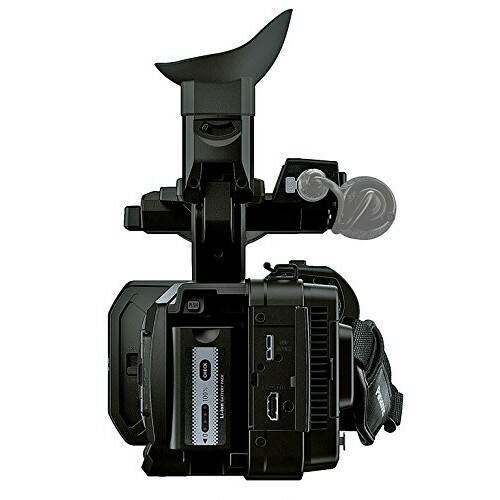 It incorporates two SD slots that allow for simultaneous recording in UHD and HD. You can also choose relay recording, which allows the recording to shift from one card slot to the other as the card fills up.